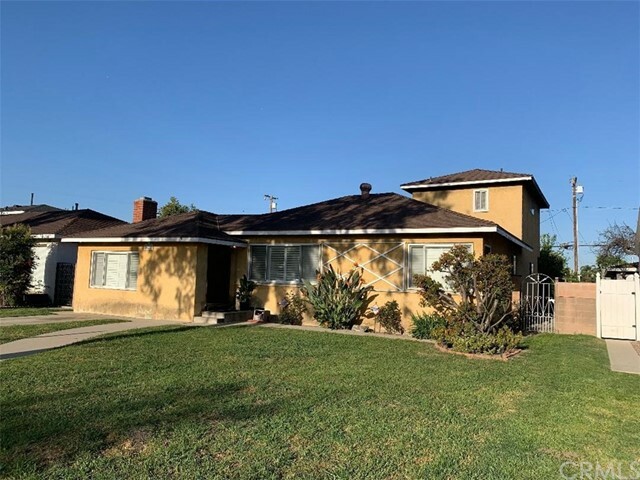 All Los Alamitos homes currently listed for sale in Los Alamitos as of 04/24/2019 are shown below. You can change the search criteria at any time by pressing the 'Change Search' button below. "HUGE PRICE REDUCTION! !, SELLERS NEED TO SELL! WE WELCOME ALL OFFERS!! Super Rare Listing! This is a zoned R3 LOT, which can be made into mulitple units. 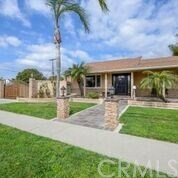 Most desirable Los Alamitos Location! This Tri-level Property has it all. 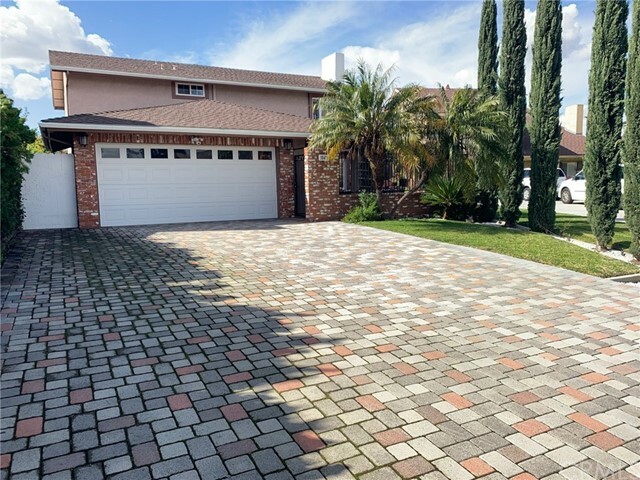 4 bedrooms 3 bathrooms has everything a family needs. Entry way with receiving room, sunken den, custom built dry bar, TWO master bedrooms, (one on lower level and one on top level of this Tri-level home), laundry room, RV gated access, detached garage, upground spa, with "
"What a fantastic opportunity to own a home located in the Award Winning Los Alamitos School District and in a great neighborhood. Features 4 bedrooms, 3 baths, 2,378 sq feet on a large 7,200 sq foot lot with plenty of room for the kids to play, entertain family and friends while enjoying the sparkling pool and spa. Both are heated with Thermal Solar and an additional gas heater and completely fenced for safety. The living room has a cozy brick fireplace with raised hearth, wood floors, skylight "
"Turnkey modern-farmhouse style home on an ideal inside tract street! 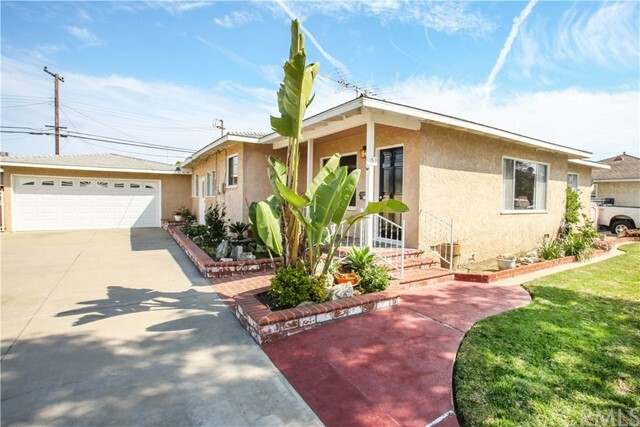 Extensively remodeled using high-quality materials and attention to detail throughout. High-end fixtures and finishes were hand-selected for each room. There is a true chef's kitchen with a gorgeous oversized 5 burner Bertazzoni Professional range, built-in Subzero fridge and KitchenAid dishwasher. New white shaker cabinets, natural stone counters and honed Carerra marble backsplash. A large farmhouse sink and high-end Kingston"
"Beautifully Appointed and Landscaped Single-level Home on PRIME--OVERSIZED 7,992 SF--CORNER LOT ... and RV PARKING! 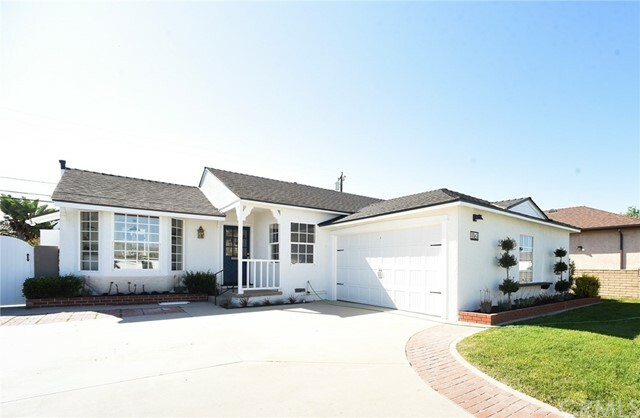 This highly-upgraded home features Spacious Entertainer's Custom Kitchen with Granite Counters and Stainless Steel appliances; Separate Living and Family Rooms (Family Room features 'antique' fireplace. 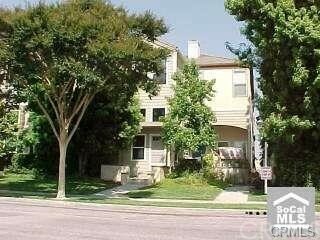 ); Master Suite complete with jacuzzi tub and walk-in wardrobe; Central AC... and so much more. 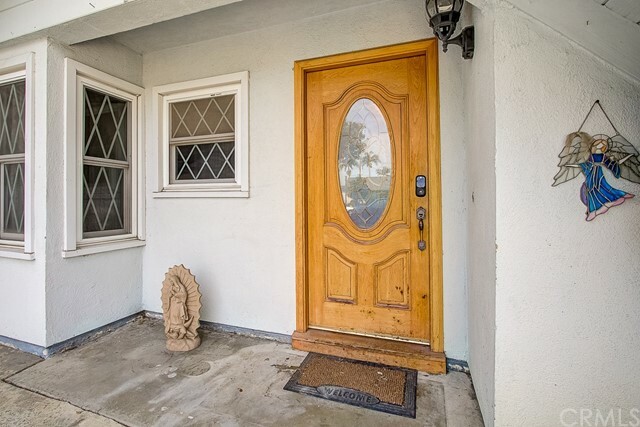 This home also features Central AC; Recessed Lighting throughout; Newer Upgraded Elect"
"3 beds 2 baths townhouse in highly desired and distinguished Los Alamitos School District!! Built in 2003, 2,110 Sq. ft. home has a great open floor plan with high ceilings. The living room area is very spacious with a gas fireplace and a lot of natural bright light, which opens to the gourmet kitchen with breakfast bar, granite counter tops, kitchen appliances, and recessed lighting. Built-in office desk in hallway just off of the large balcony. The master suite offers a deluxe walk in closet a"
"The home is located on a quiet, tree lined street in the highly desired City of Los Alamitos. As you enter the home you will be greeted by a large living room with gleaming original hardwood floors! Next, you will enter the updated kitchen that leads to a huge covered patio, great for entertaining or relaxing on a hot summer day! 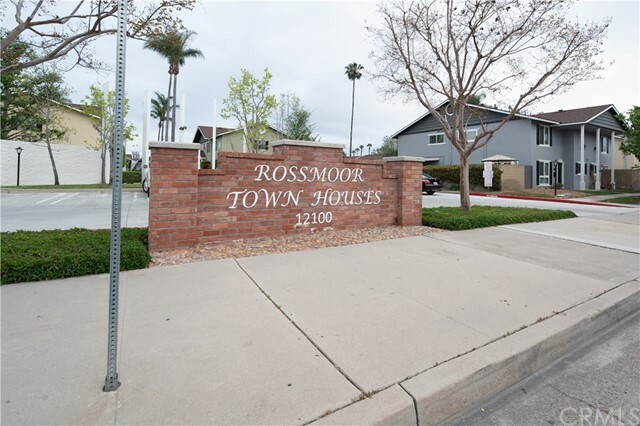 This very sharp, 5 bedroom 2 bath home situated on a large lot, is located near schools that include Acme Academy, Los Alamitos Elementary School and Sharon Christa McA"
"Here is your opportunity to own in the prestigious Rossmoor Townhomes! 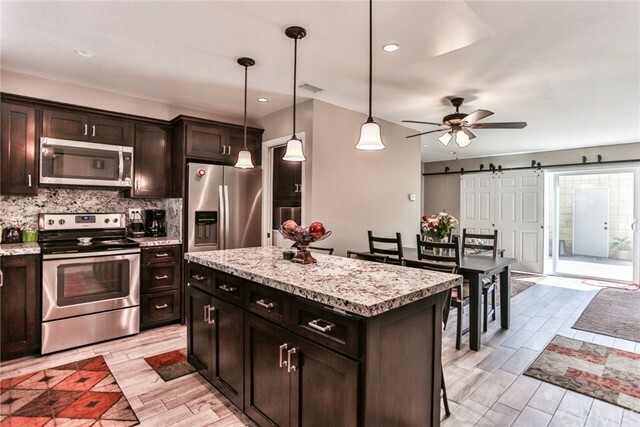 This beautiful remodeled 3 bedroom, 1-1/2 bath townhome has an exquisite open remodeled kitchen, with beautiful granite counters, a large island with breakfast bar. Wood look plank tile flooring throughout the bottom level. New stainless steel appliances, with upgraded laundry area for the wash machine and powder room. You're going to love the open floor plan with designer paint color and the barn door shutter at the sliding "
"Bring all VA buyers!! We are newly VA approved!! 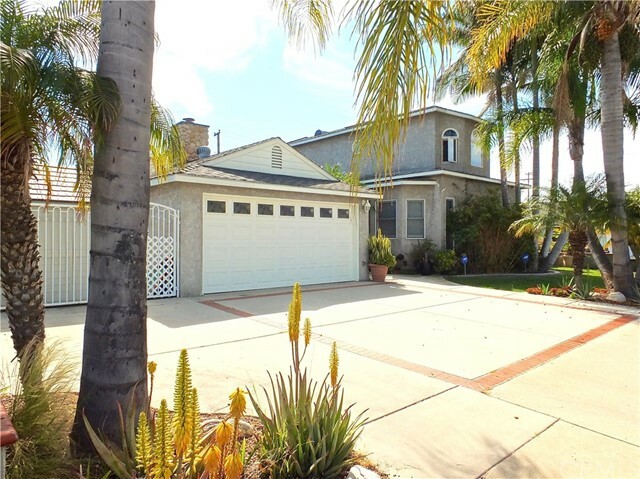 Stunning turnkey town home located in the City of Los Alamitos. 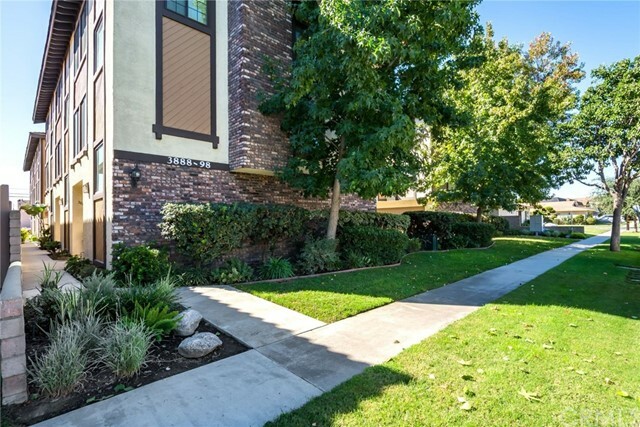 Rarely on the market with only 12 Units in this beautiful complex! 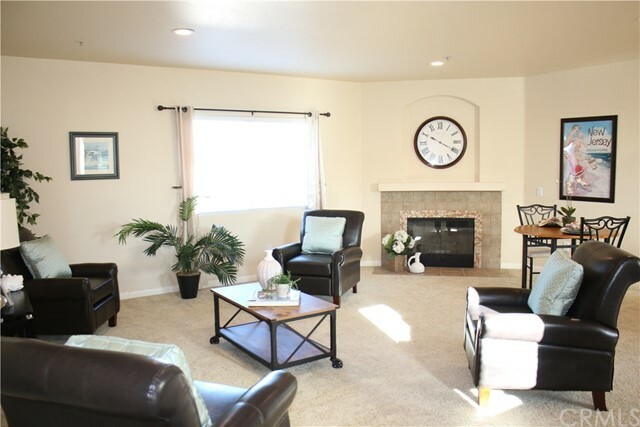 This spacious 2 bedroom 3 bath home has over 1434 square feet of serenity. This unit is move in ready & shows like a model with its gourmet kitchen that has quartz counters, custom back splash, stainless steel appliances and lots of storage. The open floor plan with recessed lighting is perfect for entertaining with a "